free ebook | Damian Trasler's Secret Blog - Do Not Read! 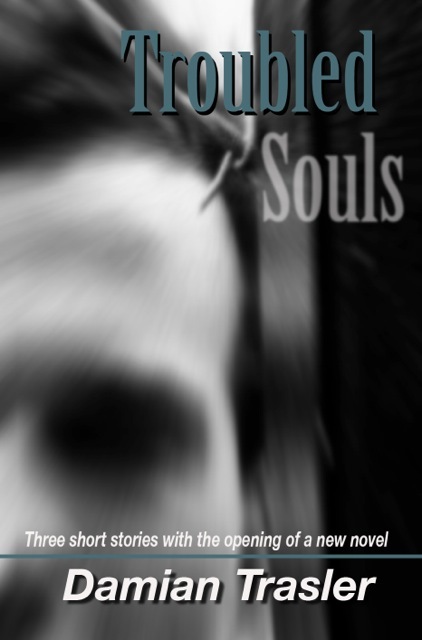 I’m launching my latest e-book this week and I’ve run into a little snag. To really do good promotion work, you need to point the advertising at your target audience, and you do that by deciding what genre your book is. And I have no clue. I know what it isn’t. I know it’s not Sci-Fi, and it’s not Horror or Suspense, or Mystery or Erotica, or Adventures among the Bedouin… It might be YA, but I don’t know for sure what that really means anymore. 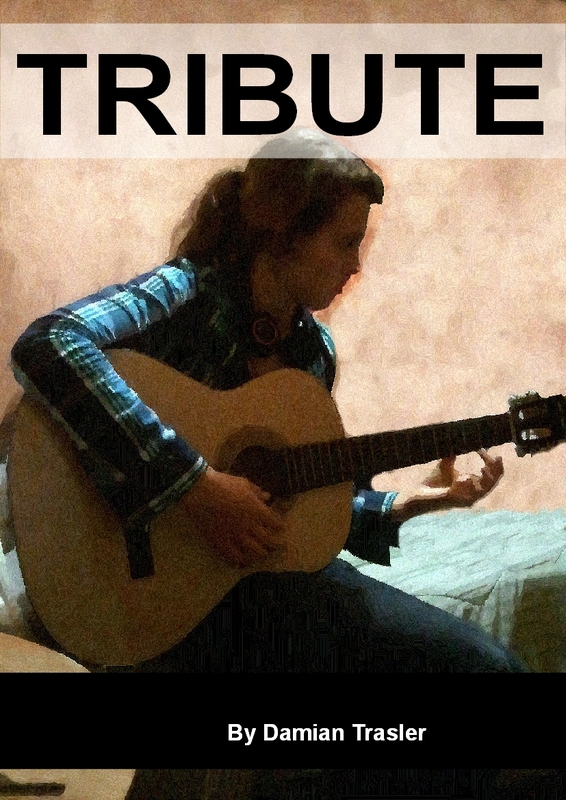 Tribute tells the story of Lisa, a teenage girl whose mother runs a management agency for musicians and whose father was Stone, the legendary lead guitarist of Zen Assassin. Lisa loves writing music and lyrics of her own, but could never win Stone’s approval. Now he’s dead, and she’s adrift, out of school and wondering where to go next. Out of the blue, she encounters Pitch Blend, the one-time lead singer of the same band. He’s charming, and almost dissolute, but she learns that it was really him – and not Stone – who wrote the band’s big hits. Can she get him to help her with her own songwriting career? Can she re-ignite his love of music? 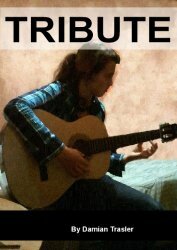 Before she can find out, Pitch becomes embroiled in a local tribute band competition…as himself. Lisa explains to him why this is a bad idea, but he sees it as easy money, the adulation and reward without the hard work of touring. Things get more complicated when Pitch meets Lisa’s mother and they discover some truths about their own brief affair a few years before. Not to mention the fact that one of Lisa’s mum’s clients is ALSO in the tribute competition as Pitch Blend…But a younger Pitch Blend. A less hung-over Pitch Blend. Any suggestions welcome in the comments below – you can download the book for free from Amazon during the 29th and 30th October. Everyone knows that the revolution has begun. E-readers have broken through and they’re here to stay. Every day I see promos on G+ and Facebook, telling me to download a free e-book. It’s a new idea in the publishing world, giving away the whole product free for a limited time in the hopes of generating future sales. But does it work? 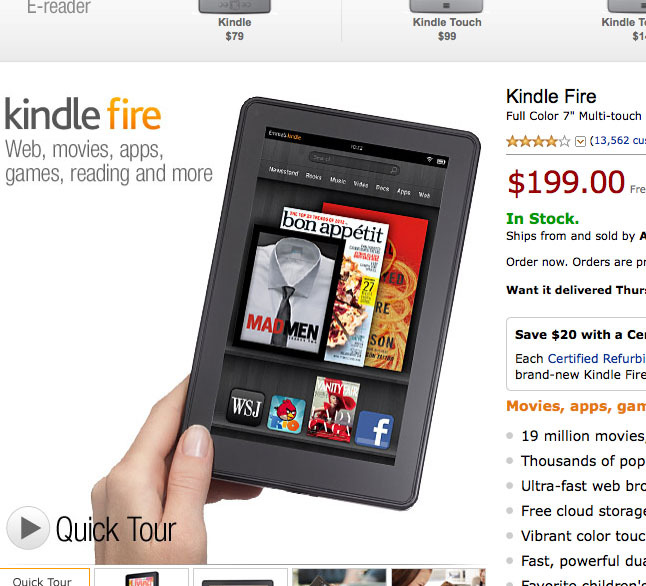 I got my Kindle Fire for Christmas, and despite some initial hiccups, I love it. Wouldn’t be parted from it. It came with nothing loaded except the user manual, and that was NOT going to hold my attention for long. I had already installed the Kindle app on my PC and phone, so I had a couple of books to transfer. One was a Social Media Marketing guide, which hasn’t been worth the paper it wasn’t printed on. * The other was Blake Snyder’s “Save the Cat!” about which I have raved elsewhere. “Save the Cat!” is great, but it’s not something I want to curl up with at night. I wanted to read “The Hunger Games” to see what all the fuss was about, and my wife wanted to read it too. I bought a paperback and downloaded the e-book. The fun part was reading on my kindle and then continuing to read the book on my phone on breaks at work, or waiting for the weasels after school. The kindle and the kindle app make notes of how far you’ve read, so if all works out well, you should be reading seamlessly no matter the platform. The first free e-book was a big disappointment. It was from a reputable source, but the writing was cliched and hackneyed, it has spelling and grammatical errors and the storyline was slow, unbelievable and unengaging. I still have not reached the end of the book, and will probably delete it. I bought “Ender’s Game” having picked up one of the sequels from the library. The library couldn’t get hold of the original for a while, and the ebook was cheap. Plus it wouldn’t be taking up any space on my bookshelves, so I clicked the button. I was delighted to hear they’re making a movie, because that should being the book back to the forefront of the public consciousness for a while. I highly recommend it, and the shadow series that go with it. I didn’t get on with the direct sequels, “Xenocide” and “Children of the Mind” because of their more philosophical nature, but “Ender’s Game”, “Ender’s Shadow”, “Shadow of the Giant” and the other shadow novels were excellent. So, up to this point, the only free promotion had been a negative experience. I was downloading e-boook versions of books I may have found elsewhere, or bought in physical form at a later date. The same was true of my purchase of the excellent “Old Man’s War” by John Scalzi, but there is something worth noting here. I had not read a review of “Old Man’s War”, nor seen a promotion, or word-of-mouth recommendation. I knew about it only through reading Scalzi’s blog, which I found through an arcane search-engine string. Once I found it, I became a regular visitor, and added Scalzi to my circles on G+ (which, naturally, lead me back to his blog more frequently.) I really, really enjoyed “Old Man’s War”, which directly lead to my purchase of the sequel , “Ghost Brigades“. Here’s the internet phenomenon in action – a personal connection to the author via his blog has prompted book sales. The same is true of Chuck Wendig. He’s been flagged up to me by various encounters in comments sections, and I found him on G+ too. I follow his blog, and took a fly on his book “Double Dead“. It’s grim but good (Vampire and zombie apocalypse…what are you expecting here?) and as a bonus, he gave away copies of his novella “Shotgun Gravy”. I enjoyed that one so much that I’ll be buying the three follow-up stories. A free giveaway that has prompted sales. Ok, so maybe that’s just the intention to buy, but I did also buy his book “500 ways to be a better writer” in order to capitalise on his offer of a free copy of “”250 things you should know about writing.” Wendig now has a healthy chunk of my Kindle real estate. Two successes, one failure. The last free ebook deal I went for was another disappointment. I didn’t read up about it, just clicked the link and knew within two pages that this was not a novel for me. It might have been well-written and excellently plotted, but…Well, imagine you think rabbits are stupid and pointless (ie, you have a good grasp on reality. Rabbits are a waste of grass….). Now someone hands you “Watership Down” and says “Hey, here’s a book about rabbits…” Are you going to be interested? Not very likely. So it was with this book. Not about rabbits, true, but not interesting to me. I’m going to be more cautious about free downloads from here on. What matters is the book, not the price, and building a link with the author helps me know in advance how likely it is their book will be a good fit. I’ll be downloading “Redshirts” from Mr Scalzi, as well as the next adventure of Atlanta Burns from Mr Wendig. What are YOU e-reading? *My policy here is to praise and name the e-books that have impressed me, but not to name specifically the authors or books that were a disappointment. Sometimes these things are so subjective, it’s not fair to damn someone on one opinion.